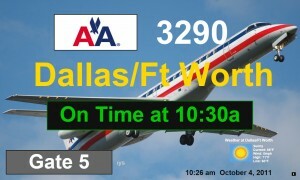 Our solution to your Flight Information Display Systems. The effective display of flight information is vital to the smooth running of a passenger terminal, yet FIDS technology is often expensive and complicated. DiceFids.com has been designed from the ground up to offer high quality information displays at a fraction of the price of other systems. 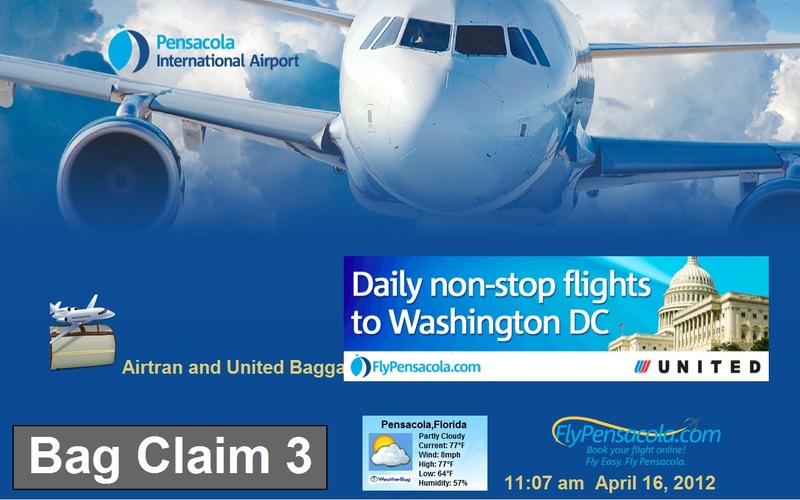 Targeted at small to medium sized airports, DiceFids.com uses a network of standard equipment to deliver the right information to the right location. The system is truly scalable, allowing the customer to tailor a solution that precisely fits their requirement. Cost Effective: DiceFids.com uses off the shelf hardware to provide an extremely cost effective FIDS solution that is as complex, or simple, as the customer requires. Standard Software: All software products use Microsoft® operating systems, Microsoft® SQL or MySql database and applications are written using Microsoft® C++ or PHP. 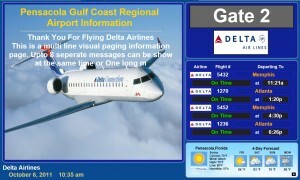 Remote Secure Server Solution: DiceFids.com can be utilized at an Airport with no server hardware; Displays and input workstations communicate totally via the Internet. Configurable Displays: All airports need to deliver information to passengers in a simple, timely fashion. 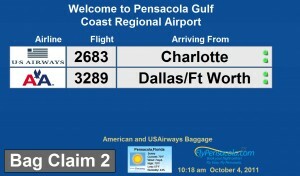 DiceFids.com displays are customer configurable, allowing the airport to design and target particular layouts and information for individual locations, whether Departures or Arrivals, Gates or Baggage Claim displays. Web Based: All displays and data Input Terminals utilized HTML, XML and PHP formats enabling the use of standard Web browsers running on displays and workstations. Language Support: DiceFids.com has built in support for displaying information in the local language – whether it’s English or Chinese, DiceFids.com will deliver displays that the passenger can understand. Although designed primarily as a stand-alone system, DiceFids.com provides standardized interfaces to external systems for automatic updates. 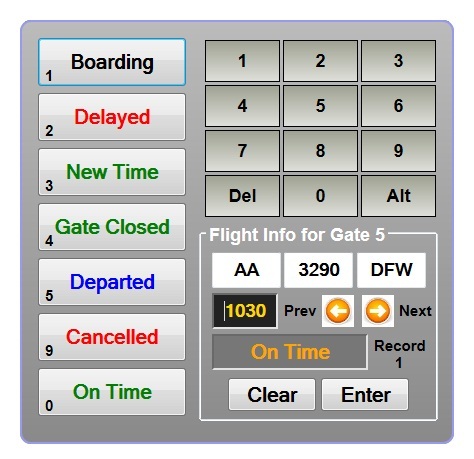 These updates may be generated by Airlines, Handling agents, Air Traffic or other airport systems, and can be configured to update displays without manual intervention. In addition, DiceFids.com is very tightly integrated with Dice’s Flight Operational Database, allowing many DiceFids.com updates to be automated from airport feeds and SITA messages for simple, low maintenance operation. 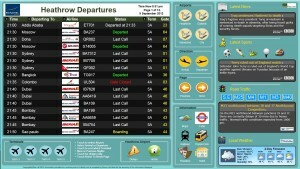 DiceFids.com is available with a simple to manage public FIDS module. 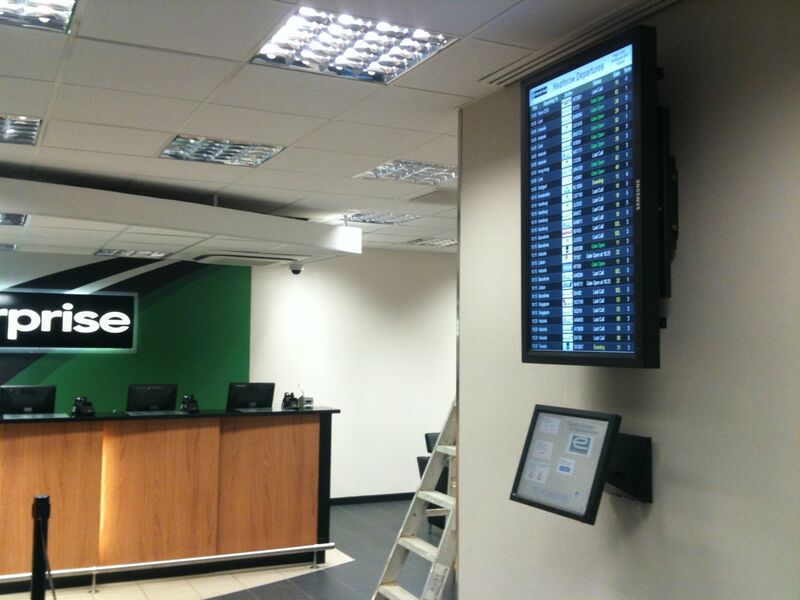 With flight information displays for arrivals and departures supporting carrier logos, multiple languages and full motion video advertising, the system provides everything needed for the smaller airport. 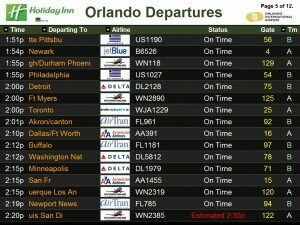 For existing FIDS installations, DiceFids.com provides many automatic updates through targeted gateways. Public information is treated with particular care to ensure you have full control over what is provided – and when. Code share flights can be shown as additional flight line or as a scrolling feed to the Airline column. We believe that the additional is better and more readable method, but if the airport has a lot of code shares for the same flight. The scrolled method maybe utilized. DiceFids.com is available with a simple to manage public BIDS module. With Bag information displays for supporting large carrier logos, multiple languages and full motion video advertising, Single and multi line formats with control for individual roll-on and off display times. DiceFids.com is available with a simple to manage public GIDS module. With Gate information displays for supporting large carrier logos, multiple languages and full motion video advertising, Weather, Single and multi line formats with control for individual roll-on and off display times. Controlled via Airline workstation, or smart phone app. DiceFids.com is available with a simple to manage public TIDS module. With Ticket Desk information displays for supporting large carrier logos, multiple languages and full motion video advertising, Single and multi line formats with control for individual roll-on and off display times. Purpose canned message formatting, ie First Class, Business Class, Economy etc. 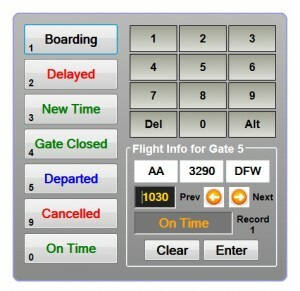 Controlled via Airline workstation, or smart phone app. All airport users can benefit from DiceFids.com. It provides a common source of information for flight movement activity with real time links for systems such as SITA Type-B messaging, Airlines, FIDS and FCC air traffic control. 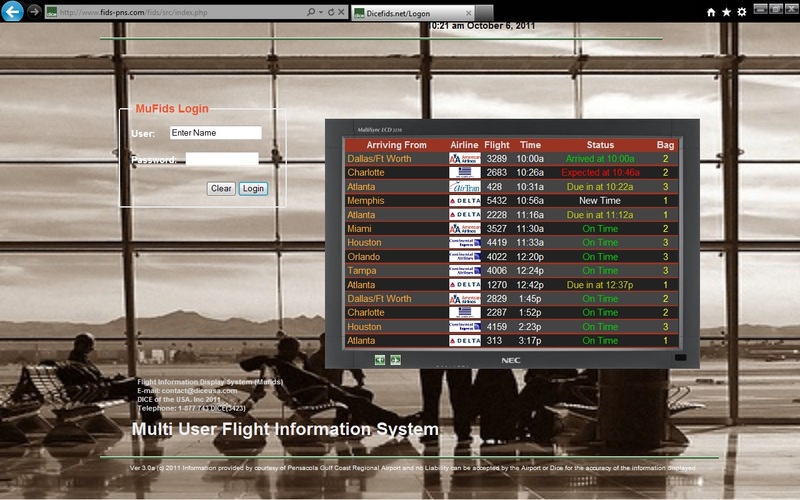 Flight Data reporter for feeding external systems, Web sites, Accounts packages etc. Formats available in XML, HTML, CSV and TXT. Data can be collected or sent via FTP, HTML, Serial, or Direct SQL transfer. 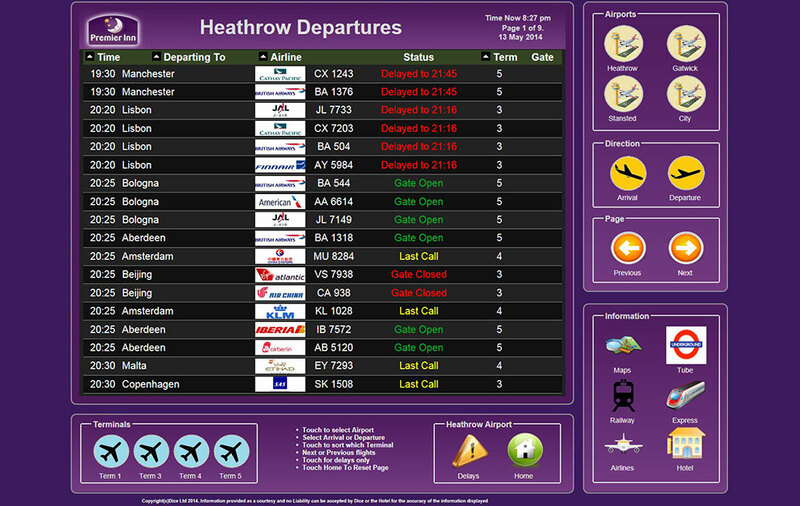 Third party DiceFids.com information displays can be tailored in thousands of different ways for external users such as Information Desks and Airport Management companies. 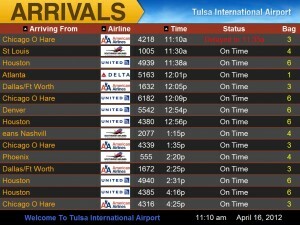 Provide your customers with up to the minute flight information from our real-time flight status system. We can provide updates via a LAN, internet or our high reliability radio link. We can provide complete hardware/software systems or install software on your IT equipment.